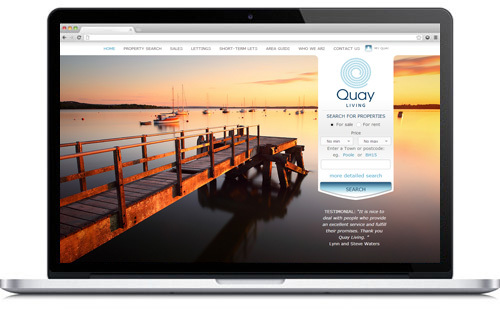 It is our great pleasure to announce the release Quay Living estate agents in Poole new website. Quay Living offers a one stop service to vendors, buy-to-let investors and second home owners, matching their clients’ properties with active buyers and great tenants, covering a wide area across Poole. Quay Living opened in 2010 to offer a one-stop property service, covering short lettings, long lettings, sales and investments. Their sister company, Quay Holidays was created in 2006, and four years had become the largest provider of high quality holiday accommodation in Poole. Due to the success of Quay Holidays it has allowed them to expand their business into estate and letting agency in Poole.